I have two dogs that both have frequent accidents. Our current carpet is destroyed with stains. We need to replace it, but aren’t sure if we should even bother getting another carpet. I really don’t want any other kind of flooring. Is there any carpet that can withstand two dogs like mine? If I get the carpet you suggest, how would I go about getting the stains out? Sometimes I catch them right away and other times I don’t discover them until they’re dry. Thanks so much in advance. Any advice you can give us on dog friendly carpet would be greatly appreciated. Jennifer, the carpet I’ve suggested in the past for homes with pets, will work for you to some degree. But is really only meant to withstand occasional pet accidents. In your case I would recommend avoiding wall to wall carpet all together. Instead consider going with vinyl flooring or tile and area rugs. I’m not recommending the vinyl because I don’t think the carpet can handle pet accidents specifically, but rather any carpet no matter how good the stain resistance is, can’t hold up to repeated spills of any kind. I would suggest vinyl if you told me you spilled juice on the carpet everyday. This is because most of us rub the carpet when we are removing a stain and this is harsh on the carpet fibers. And those spots that have frequent spills will start to look fuzzier and matted down more than the rest of the carpet. Add to that the fact that the ammonia in the pet urine could start harming the carpet backing and padding. And you can see why I’m not recommending carpet in your situation. Vinyl flooring on the other hand, is easy to clean and can take a beating better when it comes to pet accidents. Specifically I’d make sure you get rolled sheet vinyl and not any of the tiles or the planks. This will ensure that you have the best product for frequent accidents and you won’t have to worry about liquid getting down to the seams on the planks or tiles. Also you will want to make sure you are going with good quality vinyl flooring, with at least a 10 year warranty. Though 15 or 20 year warranty will have a better protective coating against staining and punctures from dog nails. Vinyl flooring paired with a few area rugs will let you keep the warmth and softness of carpet in those areas where you need it. But you will also be able to keep the durability of vinyl at the same time. If you don’t like vinyl consider going with tile instead. I’d suggest going with porcelain over ceramic if possible and stay away from natural stone as some stain very easily. Most tiles are impervious to liquid when installed correctly and tile will also be easy to clean. The one area of concern will be the grout joints, but as long as you keep up the seal with a high quality tile sealer you should be okay. Also keep in mind if the grout lines get stained, grout can be removed and new applied. Tile will be easier to keep clean in the long run over carpeting. 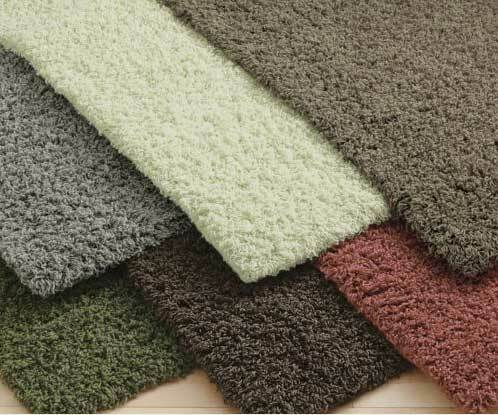 Once again you can add the softness and warmth of carpet by using area rugs in needed spots. One quick note on area rugs. Because pet accidents may still happen on the area rug’s don’t spend a fortune on them. This way if they get stained it won’t be a big deal to throw those away and start over. Other than that whether you go with tile or vinyl, both flooring choices will be easier for cleanup in a home with multiple pets.